Posted on February 9, 2018 by Tap This Brewing Co. 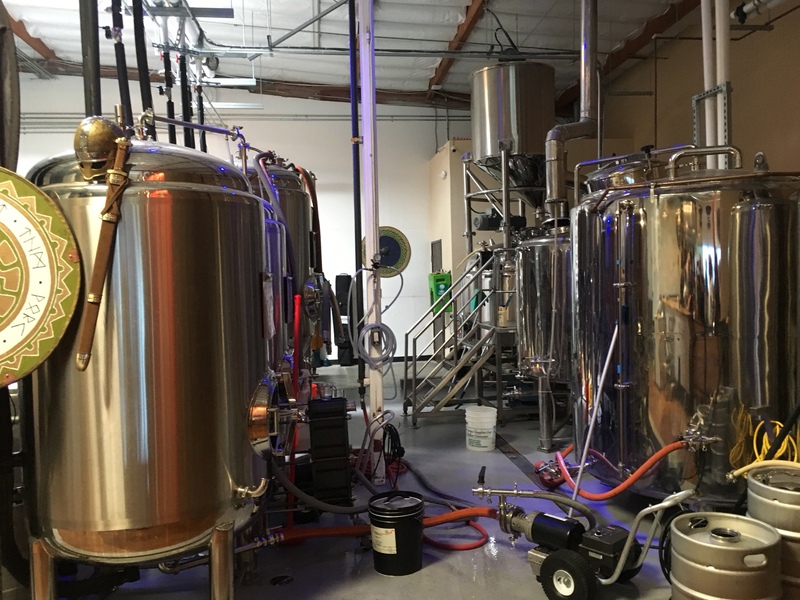 Although the Brew Your Own Boot Camp was only two days (check out Day 1 and Day 2, they also offered an Insider Brewery Tour. The Sunday following camp, two dozen home brewers began an adventure to visit several local breweries, learn about their individual brewing setups, and try some great beer. 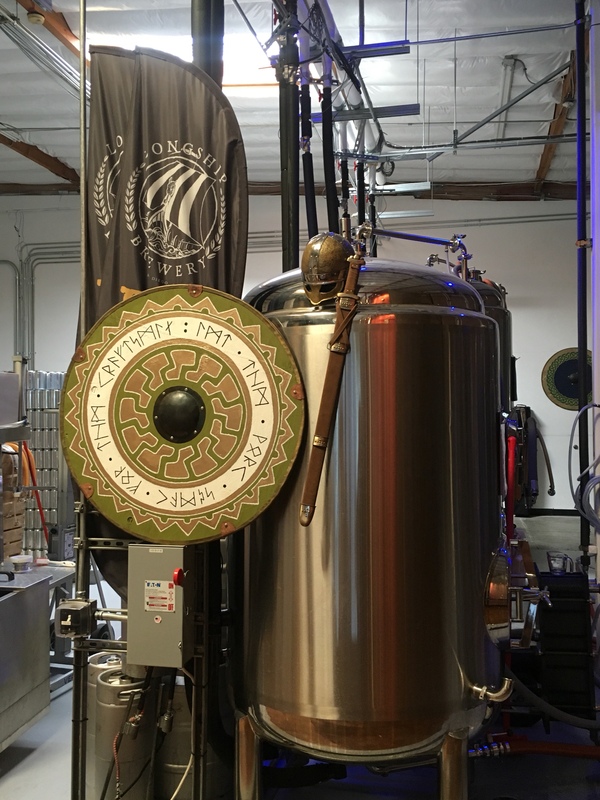 Guided by Hot Shots Brewery Tours out of San Diego, Ca., in a couple re-purposed forestry fire trucks, and greeted with an ice cold can of Ballast Point. 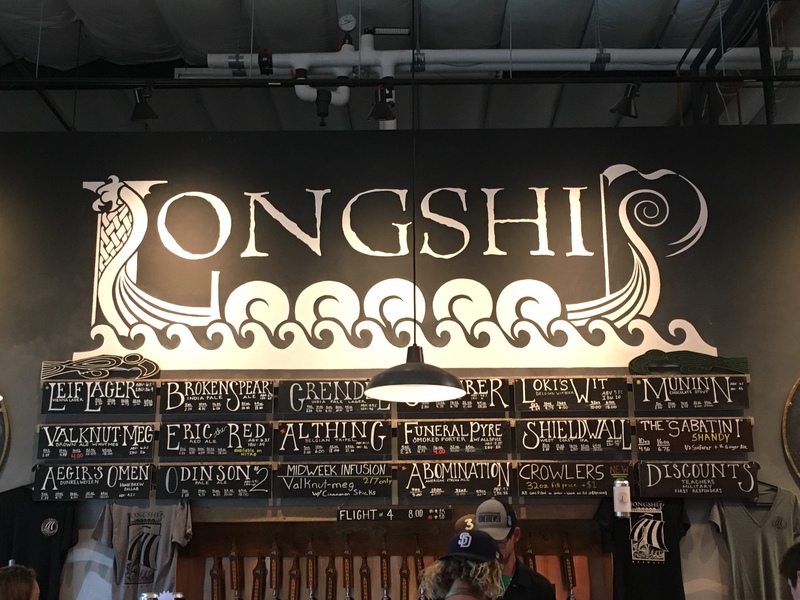 Our first stop was at Longship Brewery. I really like the theme of this brewery. 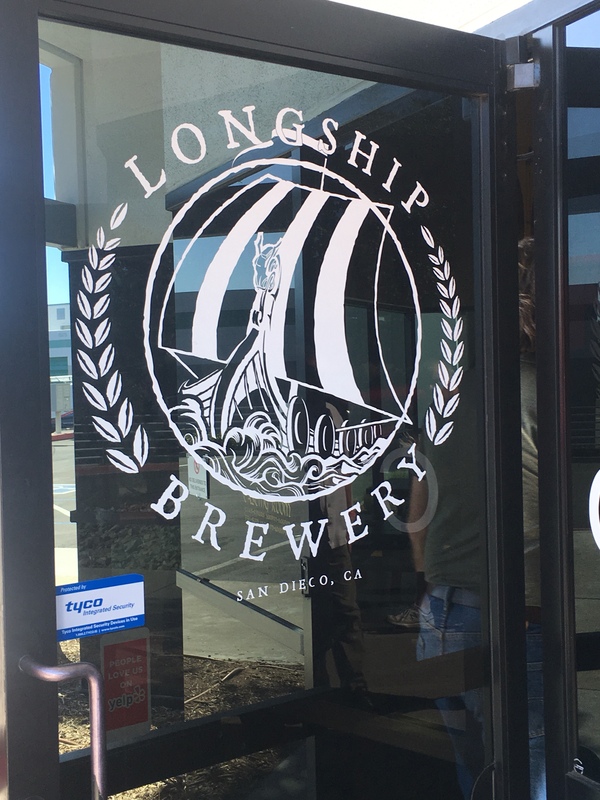 They had a full wall mural of a viking ship out at sea and several long tables that await customers to enjoy a selection of good brews. 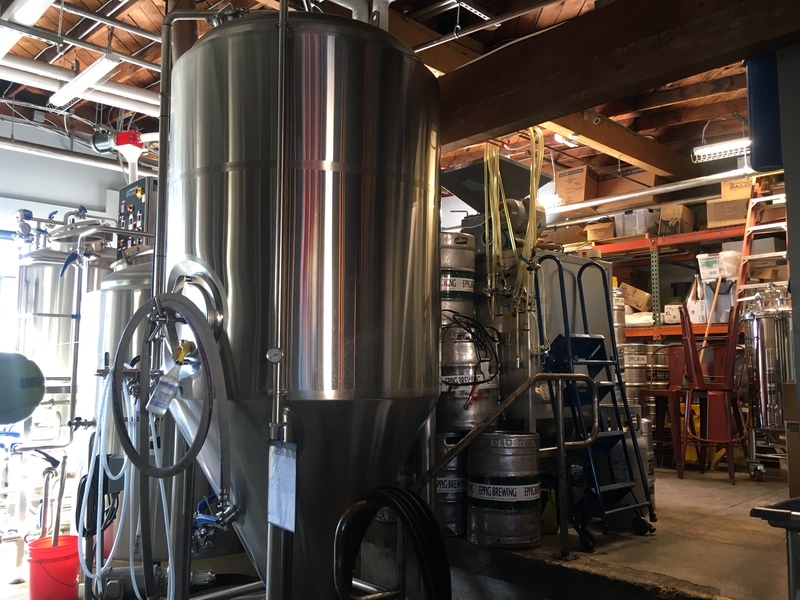 The tour of the brewery took us around their setup of vessels, a quick view of their steam engine for heating, and we even saw the owners homebrew setup that they use for small test batches. 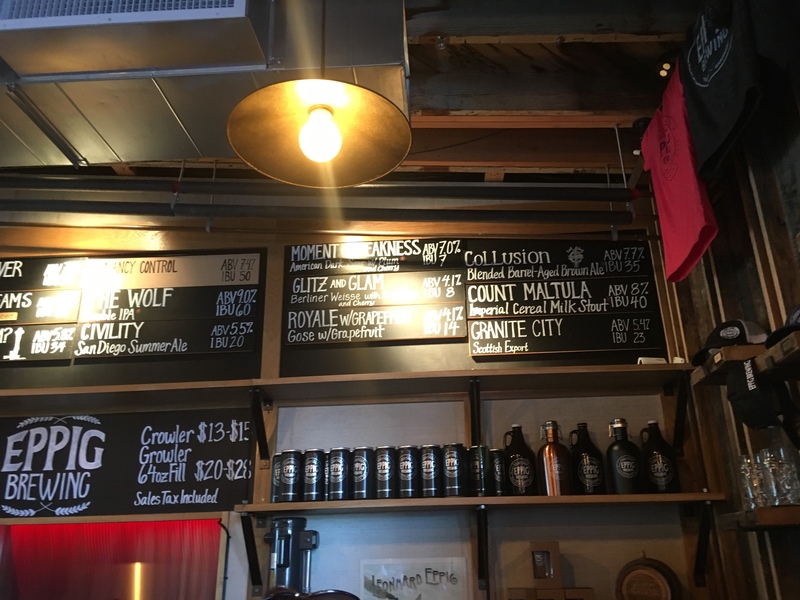 Checking in to Untappd, I earned the Voyage On badge for their brewery – you can check me out on Untappd to see the beer selection I had on these tours. 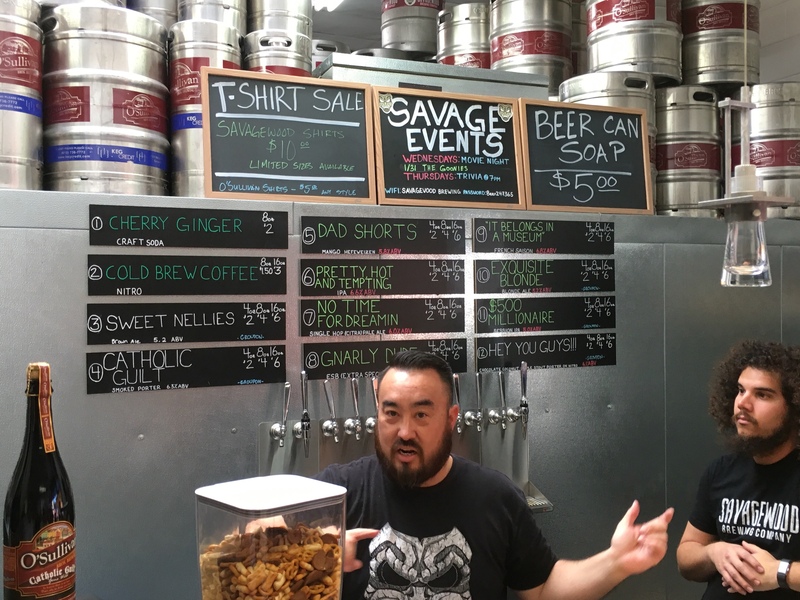 Next we headed over to Savagewood Brewing Company, where the owner (right photo), greeted us with a smile and told everyone, choose your four and enjoy. Their brewery looked a little more packed of equipment. 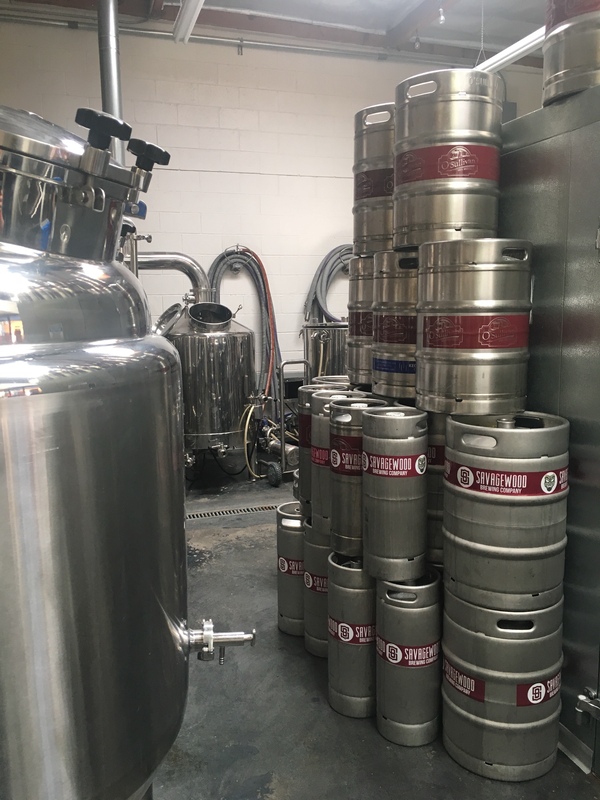 What’s interesting about Savagewood, is that they took over the space for a brewery going out of business, O’Sullivan Bros (kegs in right photo). Brewery. 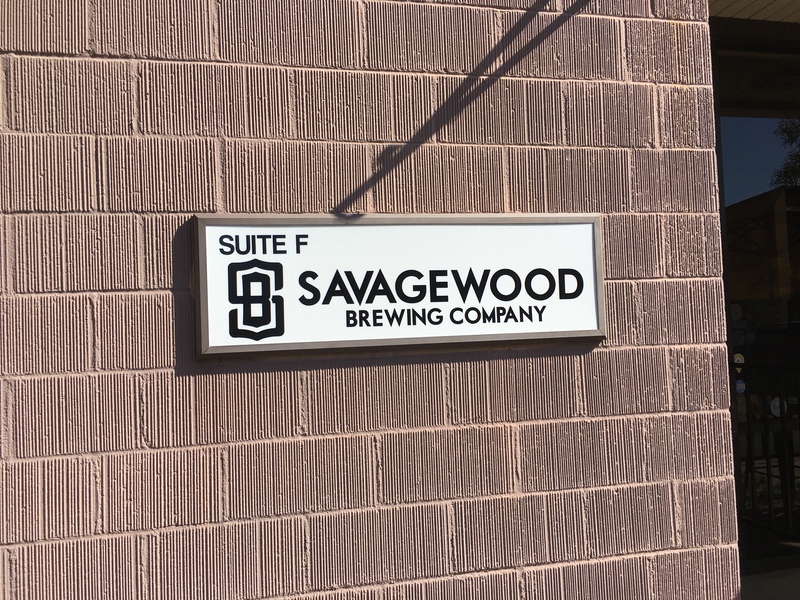 Savagewood owner wanted to pay homage to the former brewery and not let something just die, so they licensed a few of their recipes and continue to have at least one on tap at all times. Now that is awesome! Eppig Brewing was out last stop. Located in a building divided in 3, shared by two other breweries (well one location is empty now). 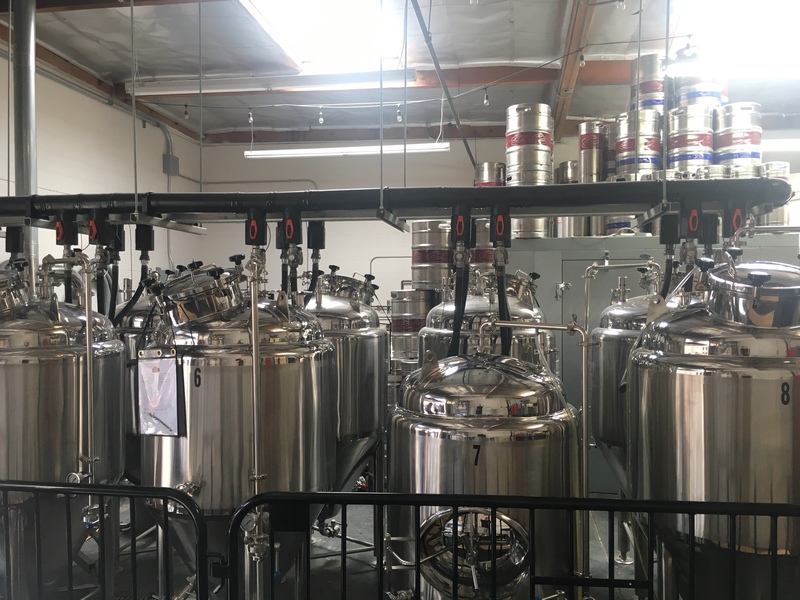 Interesting concept, but it seemed to work out being that they each brew somewhat different styles – so, you hit up one for a few, then just a couple steps away literally, you are at brewery #2. 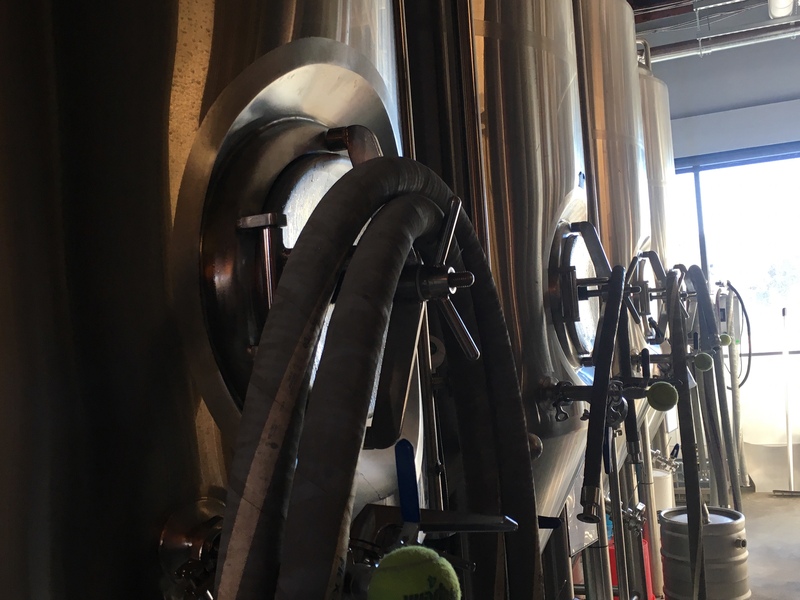 Their brewery in on a split level (just a couple steps), but it adds a slight challenge when kegs are filled on the lower and finished on the top. 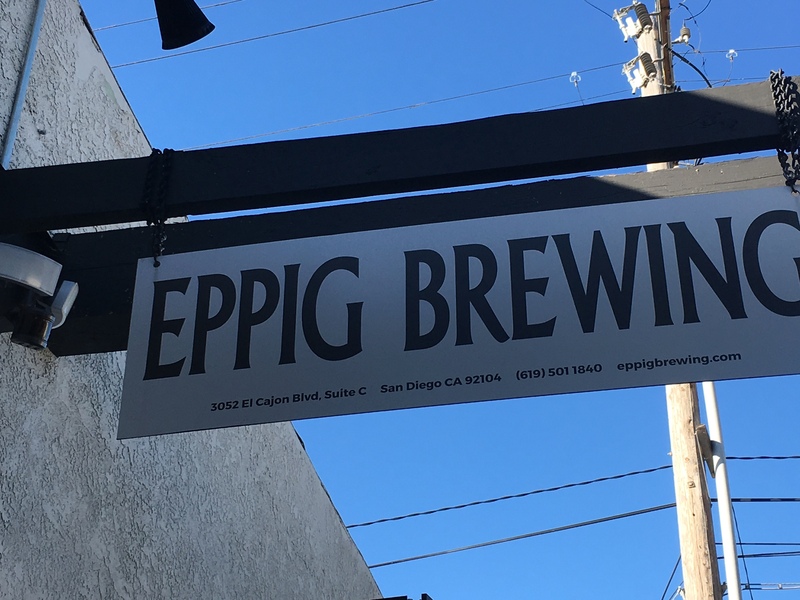 Eppig, a family name, was decided by the husband and wife owners to continue being the breweries name after reviving it from their family brewery in the late 1800s out of New York. In Craft We Trust, was our closing view as we hopped back on the fire trucks to head home. It was a great experience and my first time on a chauffeured brewery tour. All three breweries had great beer and very cool breweries to enjoy them in. 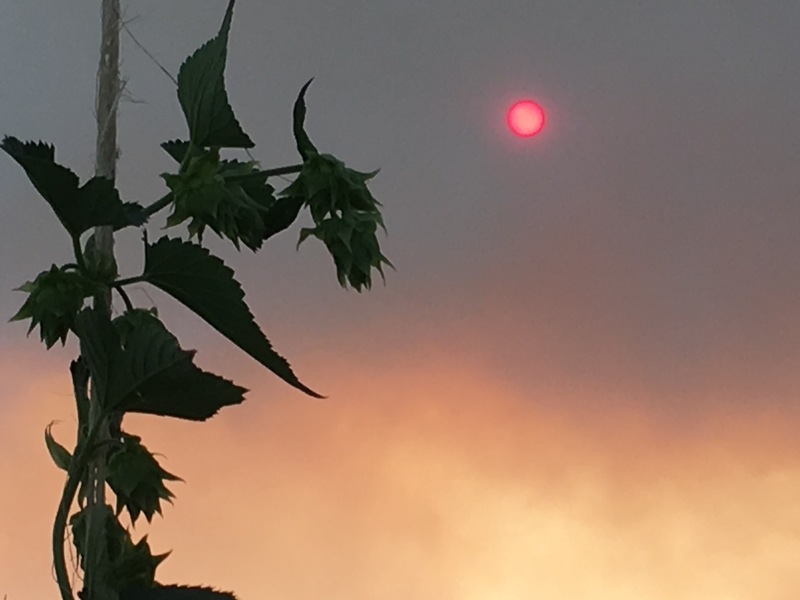 Posted on February 3, 2018 by Tap This Brewing Co. 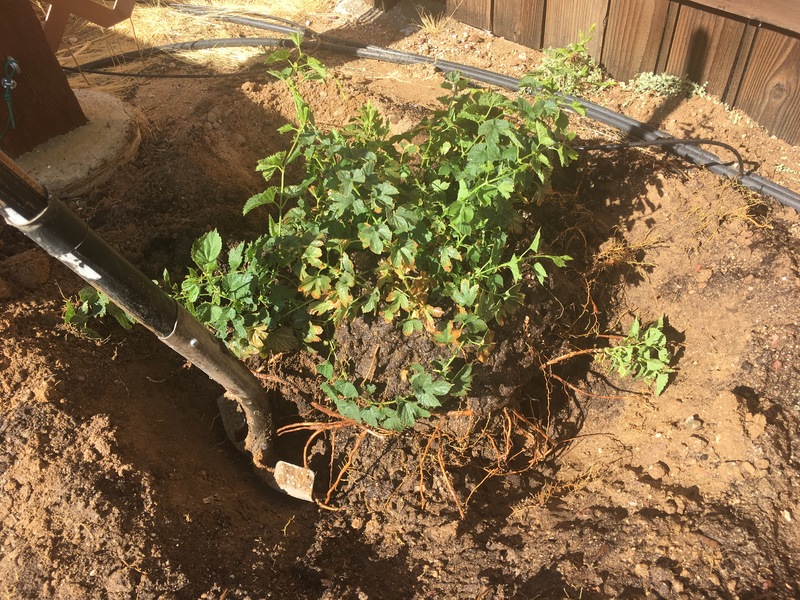 Check out my post for my Day 1 at the 2018 Brew Your Own Boot Camp for background. Day 2 started out similar, with a morning session for all the attendees to gather free swag and continue conversations with fellow brewers, just before we parted ways into our own smaller sessions. I picked up quite a bit of swag, with the exception of a couple purchases, including a BYO brew shirt and hat, and a copy of Brewing Better Beer from Gordon Strong (got it signed too, geeky but cool). Today’s session was on Recipe Formulation, with Brad Smith leading the way. Brad Smith is the founder/owner/designer of the popular brewing software BeerSmith. There are many approaches to homebrew tracking, recipes and the like. You can go the paper route, with recipe creation sheets and brew day logs, or with spreadsheets, the digital paper, or lastly with brewing software. My current career is in the technology field and I chose the red pill (for you Matrix fans), so I went with software. I am in the process of rediscovering brewing and homebrewing beer, of which will include learning the manual calculations and processes that the software currently handles. If you follow me on social media, you would’ve seen the stack of books I am in the process of reading. I think it’s very important to know the background in more detail in order to brew better beer. Back to the software…I am currently weaning myself off of iBrewmaster and over to BeerSmith (post for another day). I was excited to join this session, so I could gain more insight on the BeerSmith app from the developer himself and learn ways to improve my recipes. The opening remarks, stood out to me, which was to make sure you look at the artistic side of brewing and not just focus on the technical. 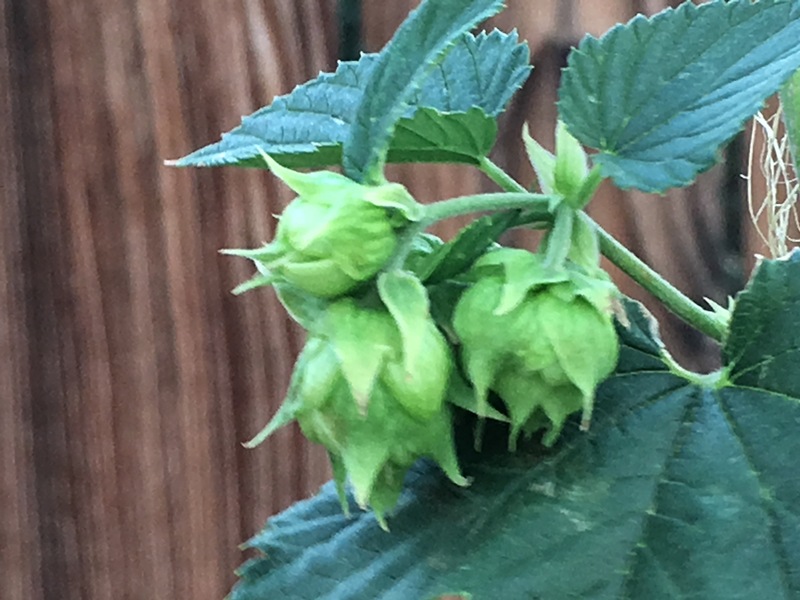 Although I’ve been in the technology field for the last 20 years, I like to think that I have a decent artistic side and that was just reinforcement for me to continue thinking outside of the box when brewing. Lunch was good again, with Ballast Point Sculpin, chicken and pasta, and key lime dessert. For discussion Brad Ring, Publisher for BYO, introduced Aaron Hyde, Ashton Lewis, Michael Tonsmeire, and Gordon Strong, who are all contributing authors to BYO. We had a little Q & A time before heading back to class. The session continued on with discussions on starting with your inspiration – are you submitting to a competition, want to clone a beer, want to use a specific ingredient, and so on; write down your goal upfront to give yourself a path and something to compare your end results with; or, start with something you know and build upon it. This is the approach I have taken for the majority of my, over 35 now, recipes brewed to date. We went over building recipes based on percentage (%), rather than specific measurements – much easier to adapt variations and scale up/down. We also went into details and considerations on hops, yeast, water and the mash. Troubleshooting beers was next, and as we learned about the main off flavors, there was some interesting samples being made. This was the last thing we all thought we’d see, especially at a homebrew training, but if you’re going to do some bad taste testing, why not… Eh, to each their own I guess right? Finally we got to the software, the pièce de résistance. Although I wish we had a couple more hours to go over it, Brad went through a good portion and I was more comfortable with the transition I was heading into. I learned a few tricks to using it as well and hope to post more on it as I go through the setup. Another reception rounded out the day with some more beer tastings, left over swag, and good company. Posted on February 2, 2018 by Tap This Brewing Co. I was so glad when Brew Your Own Magazine announced their next Boot Camp was going to be held in San Diego, the ‘Craft Beer Capital of the World’. Being a Southern California native, it was right down the street…well closer than taking a flight anyways. I couldn’t pass it up. Two days of learning more about brewing beer from those that lead and contribute to the industry of brewing great beer – Mitch Steele, Chris White, John Palmer, Gordon Strong, Brad Smith, John Blichmann and many more. The biggest problem I had with the Boot Camp, was having to decide which sessions to attend, being that you could only attend 1 per day. It just so happened I had a conference the days prior, for my current day job, that allowed me a nice full week to enjoy the area and a good deal of craft beer. Arriving at the Boot Camp, decked out in my Deschutes Brewery shirt from a trip I had in 2016/17, which spelled it our so appropriately… Water, Yeast, Malt, Hops – Damn Tasty Beer. Greeted by the BYO Publisher Brad Ring and his fellow staff with a bag of swag. Usually your start out at a conference with a bag and a couple papers. With the Boot Camp, that bag was already on the heavy side with its brochures, hat, bottle opener, taster glass, grain (yes, grain), and more. First off, I have to add, that going into this I wasn’t sure what to expect with the method or frame of mind of those leading the classes, nor my fellow home brewers and pro brewers in attendance. I would call them givers, because they were more than just teaching us, and they definitely weren’t ‘lecturing’ us; however, they were giving us their knowledge, their experiences, and their time… best of all, they enjoyed doing so. My point of view quickly changed about the fellow brewers as well. In the opening session, I had a few great conversations on brewing (thanks Steve at Quail Xing Brew House), and listened in a quite a few others. 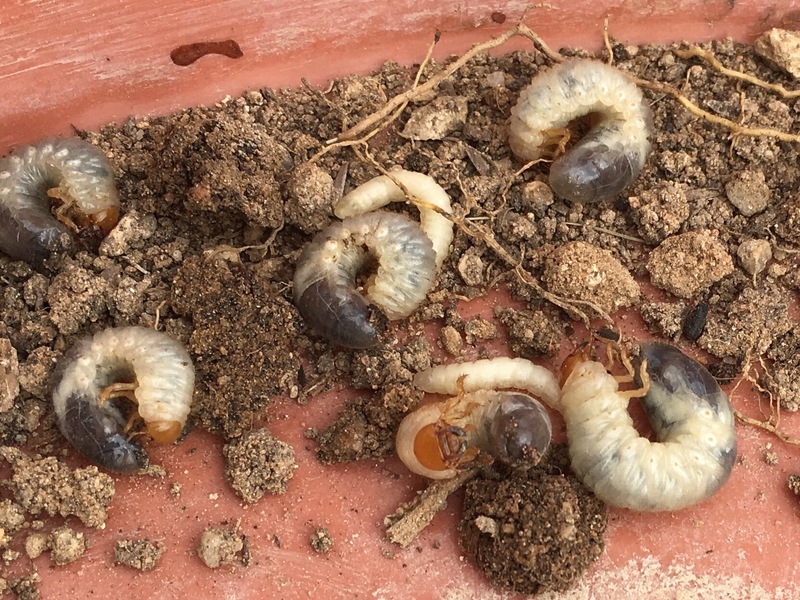 I realized my processes weren’t that rudimentary, nor was I alone in my quirks or issues. Above all that, I was able to contribute the knowledge I have gained from my mediocre repertoire of brewing, but do owe a lot of thanks to Mark (you taught me more than you could imagine). The session I chose for Day 1 was Advanced All-Grain Techniques with Gordon Strong, a BYO Columnist, author, and President of the BJCP (beer judge certification program). The learning was mostly on different mashing techniques, from infusion to decoction and other ways to control your all-grain wort production. One of the greatest take aways from Gordon, however cliche it may sound, is ‘be you’. Don’t let others direct you on how to brew, but take their input and the input from other sources, and turn that into your own process. Learn the ingredients, learn the steps and why you are doing those steps. The morning continued with discussions about pH, hop techniques, and mash capping – the process of adding darker malts during vorlauf, which should lighten the harshness of those in the end result of the brew. As lunch came, we all joined in the main hall for a keynote by Peter Zien, Owner of Alesmith Brewing Co., and some very ‘fancy’ food, paired with bottles of Alesmith Speedway Stout. When you have a room full of home brewers, at least for me anyways, a good burger and beer go a long way. The day of learning finished out we a lot more useful information that I will be taking back to the brewery and applying in my process. I look forward to seeing the results on my brews going forwared, especialy for C & D Citra IPA. We also had a surprise visit from John Blichmann, when the Blichmann Electric All Grain Brewing System we were using froze up on us. Ironically enough, it may or may not have been because the grains were crushed a little too fine by Blichmann himself, helping out Gordon. All-in-all the problems were quickly resoved, and might I say the system is amazing – just need to save a few bucks to get my own. At the evening reception, I enjoyed more conversations and beer… Tabberer IPA from White Labs (2-ways with WLP001 & WLP066), Hops n’ Oats from North Park Beer Company, Superfresh Pale Ale from knotty Brewing Co., Del Mar Jetty from Breakwater Brewing Co., and Dos Mas DIPA from Abnormal beer Co.
Posted on June 11, 2016 by Tap This Brewing Co.
C & D Citra IPA and Hardwood’s Brown Drown have been in bottles for two weeks now, carbonating at around 68 degrees. Since they already have a Tap This Homebrew bottle cap, now it’s time to properly label them. Thanks to my brothers Rick & Jeff for getting all of this for me, and Jeff for designing the labels to match exactly what I envisioned. It looked like a bottling factory as I was labeling them. It kind of reminded me of the intro to Lavern & Shirley, where they are in the bottling plant. 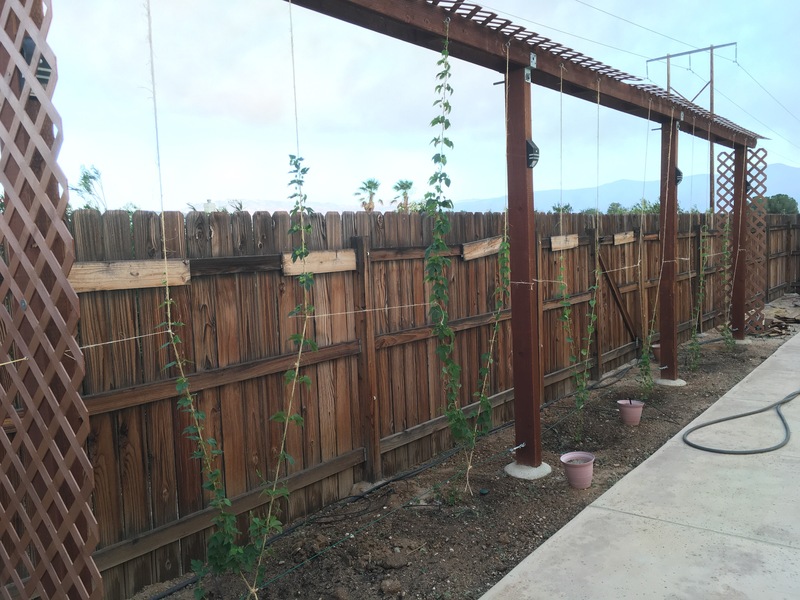 Be sure to check out Part 2 of this unveiling in my Try Some Tap This Homebrew post. I hope you have been waiting in anticipation, I know I have – it’s not about opening my own brewery ‘yet’, but it is some great news and a great opportunity! 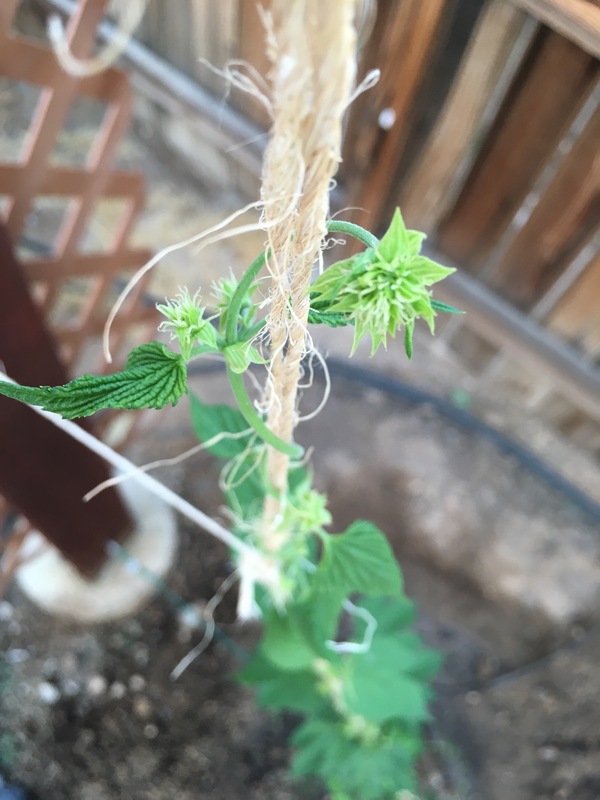 If you follow Tap This Homebrew on social media, you may have seen these photo hints about what was coming. For those homebrew and craft beer enthusiasts, you may have made out what it says, but did you ever picture this. Thanks to my brothers, I now have these awesome logos for my two flagship homebrew beers, C & D Citra IPA and Hardwood’s Brown Drown. I recently brewed a batch of each of these and bottled them for donation to the Sunset Hills Children’s Foundation for the 2016 Night at the USO event. 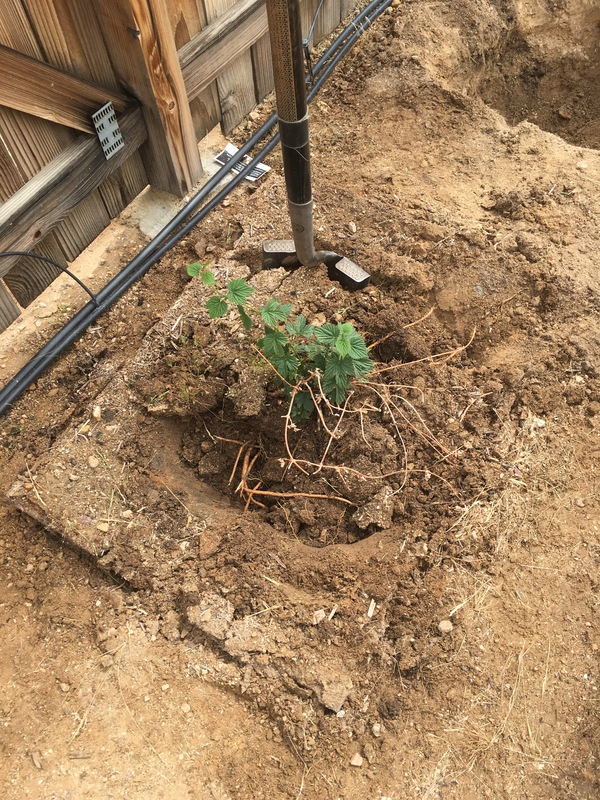 For more details check out Part 2 of this unveiling in my Try Some Tap This Homebrew post. Check out the rest of my homebrew swag! I now have Tap This Homebrew bottle caps and coasters, as well as bottle labels for the Night at the USO event. Bottled and ready to serve – reminds me of bootlegging. Look for Tap This Homebrew at the upcoming event, grab a bottle and enjoy. For more details check out Part 2 of this unveiling in my Try Some Tap This Homebrew post.